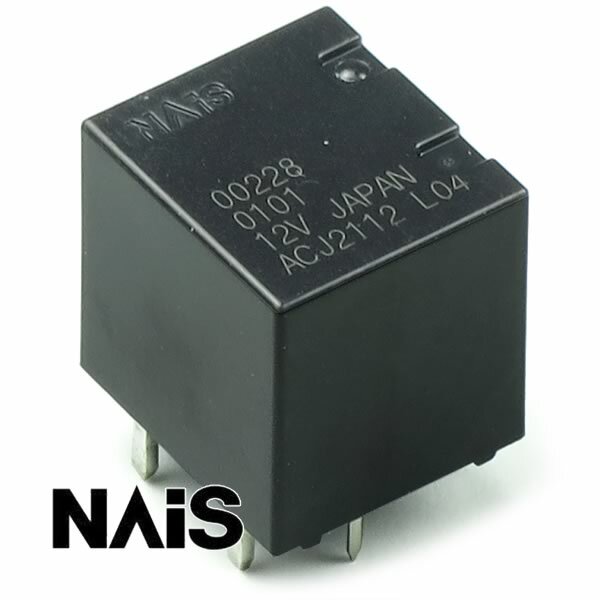 This tiny relay by NAIS type ACJ2112 operates on nominal 12VDC coil voltage and features 180 Ohm coil resistance. Contacts are rated 20A continuous and 30Amp for 2 minutes. Consists of 2 relay coils and 2 sets of SPDT contacts. These are made for use on power windows; door locks; power mirrors; sunroofs; power seats and lift gates. Size only 0.47" x 0.53" x 0.55" tall (excluding pins). Brand new-retails for $6.00 each. Sold in a package of 10.